» Flow Kimonos: Go with the Flow! Flow Kimonos: Go with the Flow! The Flow Kimonos Classic Series Kimono is a beautiful product. 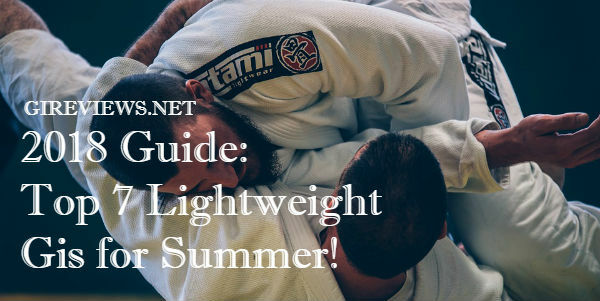 The gi is comfortable, functional and is a great entry to the ever growing Jiu Jitsu gi market. I actually first heard of Flow kimonos when a couple of my teammates got their Pro Series 3 gi, and I was super impressed by the quality and look of the gi. 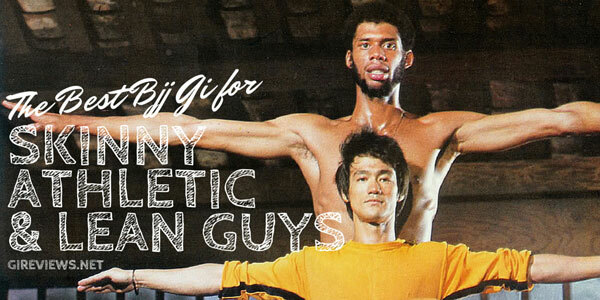 When I received the Classic Single Weave gi, I had mixed feelings. The gi is made of very comfortable material, in fact is perhaps the most comfy gi I’ve ever worn, feeling more like a soft sweatshirt than a suit of armor, the pants are some of the heaviest most impressive gi pants I’ve ever worn. Also the fit is great. All that being said, the lapel on the gi is thinner than I generally prefer, they chose to use a flat drawstring (which is far more difficult to use than the now standard stretchy rope), and some of the seams and embroideries have already begun to unravel. 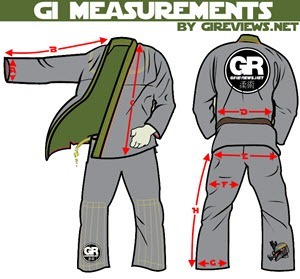 This gi is a fine fitting A3, as I mention in all my reviews I am partial to the fit of an A2L, this gi comes pretty close to that fit and I was very happy with it. This gi is beautiful. 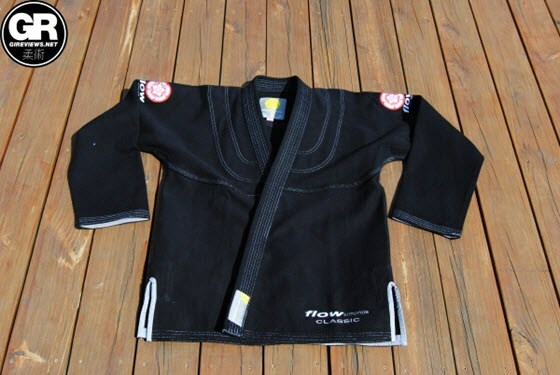 Flow uses embroideries on the sleeves of this gi. The logo is a white flower with red details, and the company name written beneath in an italicized font. The bottom of the left skirt and the right shin have “Flow Kimonos Classic” embroidered onto them. The gi uses plain grey twill seamtape, piping and belt loops, and grey stitching, all of which look great on the black fabric. I had quality issues with some of the stitching on this gi. One of the seams seems to have come loose, also the logo on one of the arms is starting to unravel. None of these issues interfered with the performance of the gi, but I’d imagine that down the line they could become nuisances. The jacket is made of a SUPER soft single weave. The fabric maintains its integrity when sweaty and doesn’t stretch much. I’m a fan of the twill seamtape that Flow chose for this gi, and it just contributed to the remarkably comfortable fit and feel of the gi. The lapel is my only complaint about this gi top, and at about half the thickness of most other lapels. This can be a disadvantage when trying to strip grips, the thicker a lapel the more difficult it can be to get a good grip on it. A minor quality issue is on the mid-chest stitching, I noticed that one line of the triple stitched thread came undone. This probably won’t affect the integrity of the gi and does not appear to be continuing to unravel. 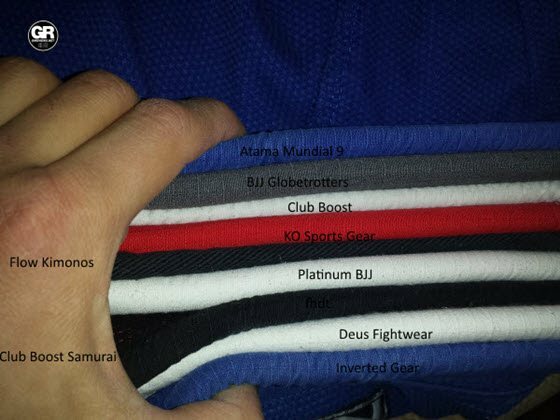 That said, this is one reason that the Flow gi uses triple stitching so, again, the effect is purely cosmetic. I have included a picture of a stack of gis including the one being reviewed to show the lapel thickness relative to the other gis. As you can see, the Flow Kimonos’ lapel is very thin. The pants on this gi are amazing. They feel like denim. I am personally a huge fan of heavy materials being used for gis, and this gi has the heaviest pants I’ve ever seen. They feature 6 drawstring loops, and a flat draw string. I am not a fan of the flat draw string as it is difficult to tighten and difficult to release when the waist is sweaty post-training. 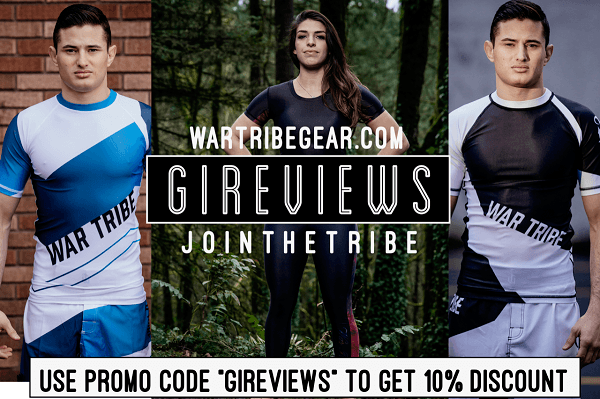 The gusset on these pants is nothing out of the ordinary, no gi material. The double layer of fabric on the knee extends to the mid shin. 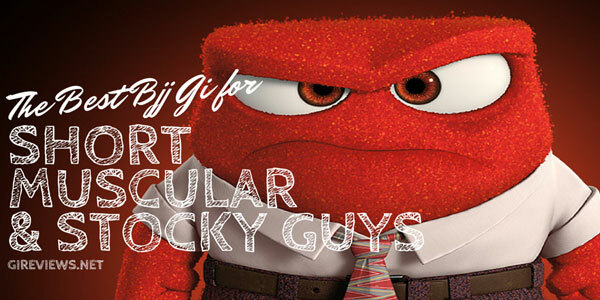 The gi performs fine, I loved the pants as they are really easy to strip grips from. The lapel on the other hand is too thin for my liking and is in my opinion a disadvantage during rolling. If I were to redesign this gi for a second release, I would use the same fabrics, but incorporate a thicker lapel, stretchy rope drawstrings full length knee padding and a gi material gusset. The Flow Single Weave isn’t their finest work, but it is a great entry to the gi market. Some of the features of this gi are remarkable and awesome, but there were definitely some quality control issues and questionable choices in the design. Disclosures: This Gi was submitted to me free of charge (by way of gireviews.net) for review. I have never done any work with or for Flow Kimonos.